A man has been jailed after reducing members of a jury to tears with “vile and intimidating abuse”. 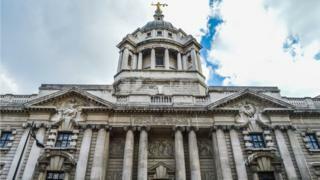 Nicolo Moriano, 21, shouted swear words from the public gallery at the Old Bailey on 12 April, after jurors convicted bouncer and boxing coach Armani Afia, 21, of attempted murder. Moriano, a market research interviewer, said he was “remorseful” after spending the weekend in Belmarsh jail. He was sentenced to seven days in jail at the Old Bailey on Monday. Moriano, who has ADHD, accepted his behaviour was a contempt of court. He had previous convictions dating back to 2014 for battery, criminal damage, cannabis possession and using threatening words or behaviour with intent to cause harassment, alarm or distress. He was found to have special educational needs and was excluded from primary school. Judge Richard Marks QC jailed Moriano for seven days and fined him £750. He told him: “It is important that you understand that the way in which you behaved on Friday afternoon was both outrageous and unforgivable. “Jurors come to this court in order to serve on trials because that is the way we conduct our criminal justice system. “They give up their time to do so and it is absolutely intolerable for people like you to behave in the manner in which you did.